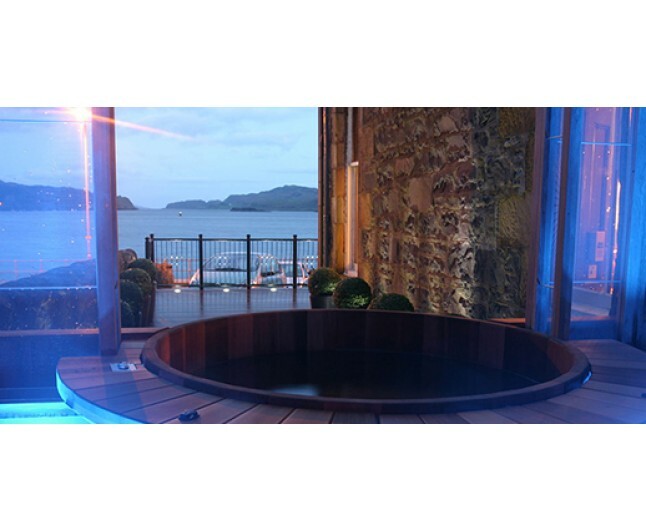 A luxury Spa Break for 2 at the Oban bay hotel, including dinner, bed and breakfast and a choice of relaxing Spa treatment each. The Hotel located on the edge of Oban's picturesque esplanade, is the perfect spot from which to discover Scotland's west coast, with breathtaking views of the west coast islands, either from the comfort of our sun lounge or from the outdoor hot tub. The hotel sits on the edge of the water from which the hotel takes its name – a bustling and colourful, yet tranquil .and relaxing location, perfectly placed for touring the west coast, with historic Inveraray just a short journey south and Fort William and the Highlands to the north. Enjoy one nights luxury accomadation for two people in a choice of Double or Twin room. 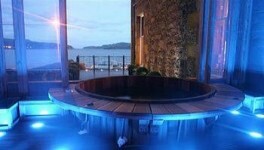 All rooms have just been restored to the highest standards and many have spectacular views across the bay. After the very best of sleeps wake to a hearty Scottish breakfast. After a hard day of relaxing, take the time to enjoy a sumpteous evening meal, with an emphasis on fresh, local seafood, organic produce and attentive service, our Rannachan Restaurant in Oban is a welcome retreat at the end of your day. A choice of Spa treatment. A great way to relieve tension and to get rid of any built up stress, this will leave you feeling fantastically fresh and free from any strains! The back, neck and shoulder massage is specifically designed to hit the strains and sore spots to give your whole upper half that refreshment it needs to leave feeling like you could take on the world. A facial that is a balancing and invigorating treatment which helps improve skin texture and tone. Enjoy complimentary use of our indoor steam room, sauna, massage chair and our outdoor hot tub with great views over the bay to Kerrera. Set on the edge of Obans picturesque Esplanade in the heart of Argyll, Oban Bay Hotel is the ideal base from which to explore Scotlands West Coast. This gift experience is valid for 12 months Seven days per week sunject to availability. Please book two weeks in advance to avoid disappointment. Not to be used in conjunction with any other offers. This experience is for two people, who will both receive the services listed above. The Price is based on two people sharing a standard double room for one night Bookings at this hotel are non-refundable and non-transferable.